Flow has long shaped the relationship between Santa Cruz, California, and the San Lorenzo River, which runs through the city. The memorable “Christmas Flood” of 1955 sent 10 feet of water surging through downtown Santa Cruz, and prompted the construction of flood control levees that channelized the river. 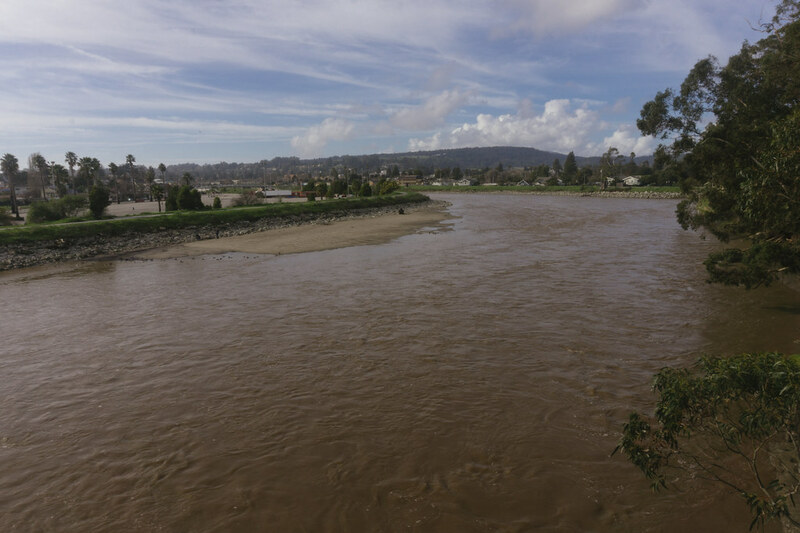 A spate of heavy winter storms earlier this year put San Lorenzo River flow back on people’s minds, with February flows hitting levels nearly 30 times greater than the long-term average. Fittingly, flow was also the focus of this year’s State of the San Lorenzo River symposium, which FISHBIO’s Santa Cruz staff attended earlier this year. The series of talks highlighted where the San Lorenzo River’s water comes from, the influences of flow on fish, and challenges in the watershed. Originating in the Santa Cruz Mountains, the San Lorenzo River is the primary water supply for 95,000 people in the Santa Cruz area. It is also home to threatened anadromous fish, including steelhead and, historically, coho salmon. A large portion of the San Lorenzo River’s flow comes from groundwater, particularly a formation called the Santa Margarita Sandstone. These ancient marine sand deposits create unique sandhill habitat in the mountains, and form an aquifer below ground. The Santa Margarita Basin provides up to half of the dry season flow in the San Lorenzo, and largely supports some of the major tributaries such as Bean and Zayante creeks. Unfortunately, urbanization and road paving has made the ground less permeable and reduced the aquifer recharge by 20 percent. Luckily, the aquifer is not susceptible to collapse like those in the San Joaquin Basin, so this basin does not experience subsidence or a loss of aquifer capacity from water pumping. As part of California’s 2014 Sustainable Groundwater Management Act, Santa Cruz has formed a groundwater management agency, which will develop a sustainability plan for 2022 to address issues such as storm water recharge, water recycling, reduced pumping, and increased storage. The symposium also included discussions of the river’s fish and flow. Kristen Kittelson, a fisheries researcher with the County of Santa Cruz, described how flow affects young salmon and steelhead. Because these juvenile fish are “sit and wait” predators that wait for bugs to drift past them, lower river flow means a lower delivery of food. The lagoon habitat that forms at the mouth of the Santa Cruz River offers fish the highest potential for growth in the watershed, thanks to warm water and an abundant food supply. Fish have also declined in the river. While coho salmon were historically abundant, they have all but disappeared from the San Lorenzo, with only occasional visitors originating from a conservation hatchery program at nearby Scott Creek. Steelhead still live in the San Lorenzo, although fisheries consultant Don Alley described how adult steelhead numbers have declined from 5,000-8,000 in the 1990s to less than 1,000 today. Big storms such as those experienced this winter are important for bringing large woody debris into the San Lorenzo River. While Santa Cruz County once regularly removed logjams from the river, it now recognizes and helps to educate landowners about the value of instream wood as fish habitat. The river’s habitat still bears the marks of historical industries, including logging, leather tanning, and liming, which greatly altered the watershed in the mid 1800s. 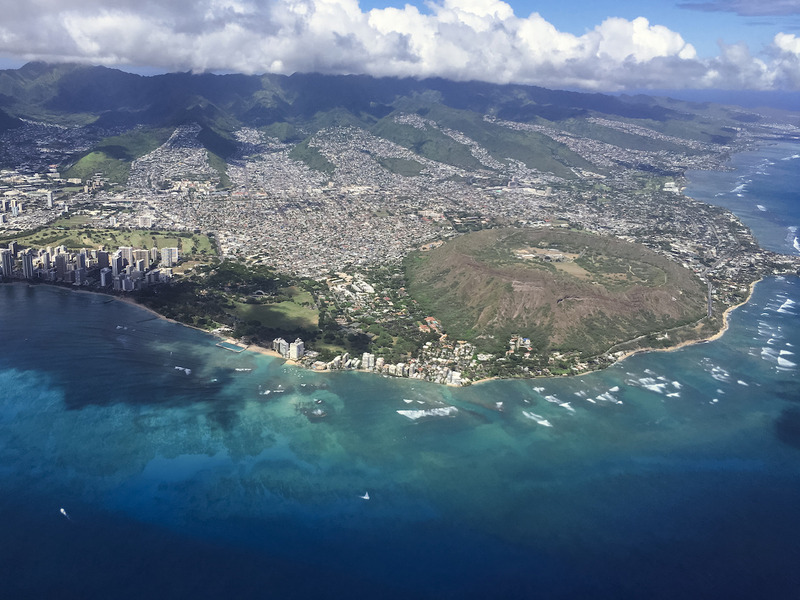 Poorly designed legacy roads from that era are still maintained, and create a substantial amount of erosion and sediment pollution in the watershed, especially during the landslides experienced from recent winter storms. The Resource Conservation District of Santa Cruz County works with landowners to implement voluntary improvement projects that address issues like erosion, fish passage, and water storage. Today, cannabis cultivation is a growing concern in the San Lorenzo River watershed, with Google Earth revealing swaths of forest cleared for grow operations, highlighting the need for regulation moving forward. FISHBIO’s staff rounded out the day by leading a community tour along the San Lorenzo River to describe the effects of flow on the life of an anadromous fish. 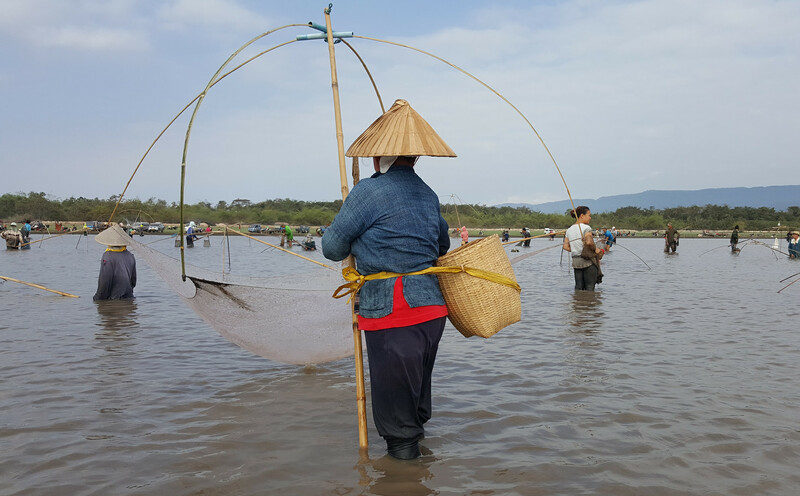 We greatly valued the opportunity to learn and connect to this important coastal river, and to share our interest in its fishes.